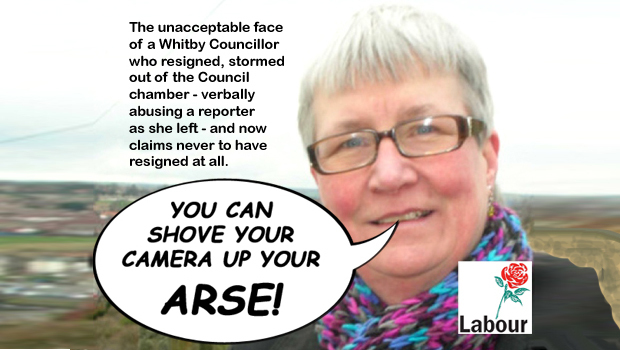 an “In My View” report by NIGEL WARD on extraordinary events at the Extraordinary Meeting of Whitby Town (Parish) Council on the evening of Wednesday 17th September 2014. 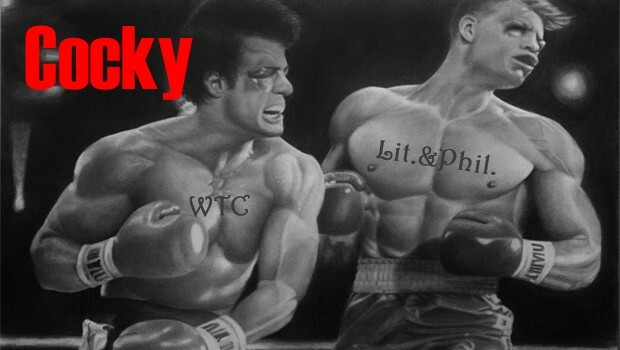 Round One – seconds out! Members of the public may feel that the intent and purpose of an Agenda Item presented in this form of words is opaque, to say the least. Why the devil might the Council wish to appoint “specialist Solictors[sic]”? That is a long and complex story. I will simplify it into the most general terms. There exists a Lease agreement between the Council, of the first part, and the Whitby Literary & Philosophical Society, of the second part (hereinafter, the Lit. & Phil. ), in respect of the latter’s tenancy of the Museum building situated in Pannett Park. The land which became Pannett Park, along with some of his personal belongings, was bequeathed to the people of Whitby by Alderman Robert Elliott PANNETT in 1920. The terms of this lease were the subject of a High Court action in the late 1940s, resulting in the current lease being agreed in the early, then, in 1964, the Council established a registered charity – Pannett Art Gallery & Whitby Museum [Reg.No. 529697], the reason for which is unclear. 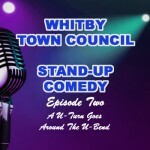 Since then, the lessor – Whitby Urban District Council (WUDC) – has been superceded by the Whitby Town (Parish) Council (WTC) under the terms of the Local Government Act 1972 (which came into force on 1st April 1974), and has thereby inherited many of the WUDC’s powers and duties. 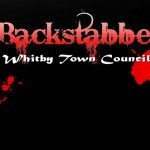 Whitby Town Council is thus the successor body to WUDC. As laid down in the lease, the management of the Museum, which possesses the status of a Charitable Trust, is conducted by a Joint Management Committee (ostensibly a Committee of WTC comprising nine members who are Councillors, delegated by the Council, and six members who are delegates of the Lit. & Phil. 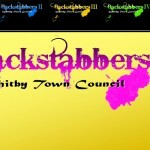 – a controlling ratio of 3:2 in favour of the Council. There apparently arises a potential dispute between the Lit. & Phil. and WTC which hinges (or, perhaps, is being made to hinge) upon the status of those nine members of the Joint Management Committee who sit as delegates on behalf of the Council. It is understood that the newly-appointed Keeper of the Museum (one of the Lit. & Phil’s six members) takes the view that those nine members of WTC who sit on the Joint Management Committee do so not as agents of the Council, but rather as Trustees of the Charitable Trust. This distinction, as we shall see, is crucial. As far as could be discerned from last night’s debate (at least while my presence was permitted), neither the Clerk nor any of the Councillors have any clear idea of where the Lit. & Phil. is heading with this, or why. But it is clear that some sort of a ‘shot across the bows’ has been fired, in the form of a stated desire on the part of the Lit. & Phil. to increase revenue from the hire of the Normanby Room (in the annex), where many local bodies hold their meetings – i.e. 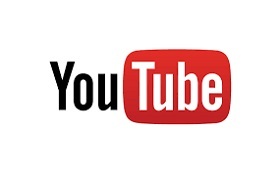 to substantially increase the charge for the hire of the venue. This will be unwelcome, perhaps even prohibitive, to the likes of Whitby Photographic Society, Friends of Pannett Park, etc. But one of these hire-clients is WTC itself, since day-time Committee Meetings are held in the Normanby Room on account of the fact that the Pannett Art Gallery (where evening Meetings are held) is open to the public during the day-time in its primary function as an art gallery. 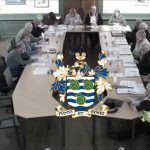 Consequently, the Council (presuming, of course, that it is likely to be treated on a par with the other organisations who meet in the Normanby Room) is in danger of either paying an inflated hire charge for the Normanby Room – or finding another place to play. But the prevailing view amongst Clerk and Councillors is that something more sinister is afoot and looking to SBC Legal for support is unlikely to prove efficacious. SBC Legal, remember, is in the hands of Lisa DIXON, who has been exposed by the BBC ‘Inside Out’ documentary as an incompetent fool and a liar. Last night’s debate was (shall we say) ‘animated’. Councillor Derek ROBINSON was swift to point out that to engage any specialist solicitor at this stage seemed premature, since nobody had a clear understanding of what was in dispute, what steps were available to achieve a resolution or, indeed, what overall strategy the Lit. & Phil. could possibly be pursuing. Alas, further information was not forthcoming. Councillor Amanda SMITH directed Council to that part of the lease that clearly defines the status of Councillors on the Joint Management Committee as agents of the Council. It was her view that it would be wise to determine on what basis the Lit. & Phil. might seek to challenge that definition. (Some of the functions of delegates to joint committees are addressed in s.13 of the Local Government & Housing Act 1989. 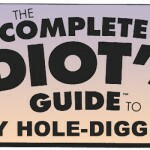 It does not make for light reading and is, in any case, by no means the last word on the subject). Councillor Simon PARKES pointed out that, should the Council’s delegates to the Joint Management Committee be ruled to be acting as Trustees of the Charity – and not as elected members (agents) of the Council – then they might stand in personal jeopardy of being held jointly and severally liable for any legal costs or damages incurred through a hard-fought but lost legal action. As house-owners, they may risk losing their homes. Councillor Phil TRUMPER, the only Councillor present in possession of a legal qualification, took the view that a case such as this (within which both Council Law and Trust law may be invoked) was beyond the competence of a general solicitor and therefore did genuinely merit the appointment of specialist legal advice. 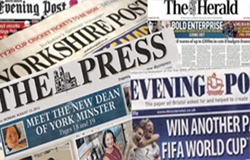 Councillor Ian HAVELOCK, whilst not dismissing Councillor TRUMPER’s view, echoed Councillor Derek ROBINSON’s view that Councillors needed far more information to reach a measured decision, safe in law. With a wave of her hand over her head, Councillor Noreen WILSON candidly proclaimed that much of the debate had passed right over her head. And this is the woman who told videographer Nick HENDERSON “You can shove your camera up your arse!”. All attempts to elicit any deeper insight into the true intent of the Lit. & Phil. 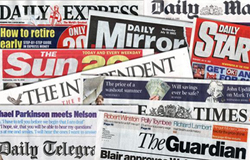 soon foundered, and the Councillors moved on to the matter of making a choice between two firms of specialist solicitors who had responded to the Clerk’s invitation for Tenders, whereupon the Council resolved to invoke exclusion of the press and public, on grounds of confidentiality. Before leaving the chamber, I asked the Chair to consider suspending Standing Orders for a few moments so that I might offer a fool’s opinion – since most people know very well that a wise man can learn a good deal from a fool. But no. I was sent packing – and my fool’s wisdom with me. I have since learned that the Council has made its choice between the two available specialist solicitors, and resolved to seek more information about what is clearly perceived to be a rather ominous threat to the Council – one that carries grave financial risk. It has been said that Councils cannot be made bankrupt. Trustees most certainly can. 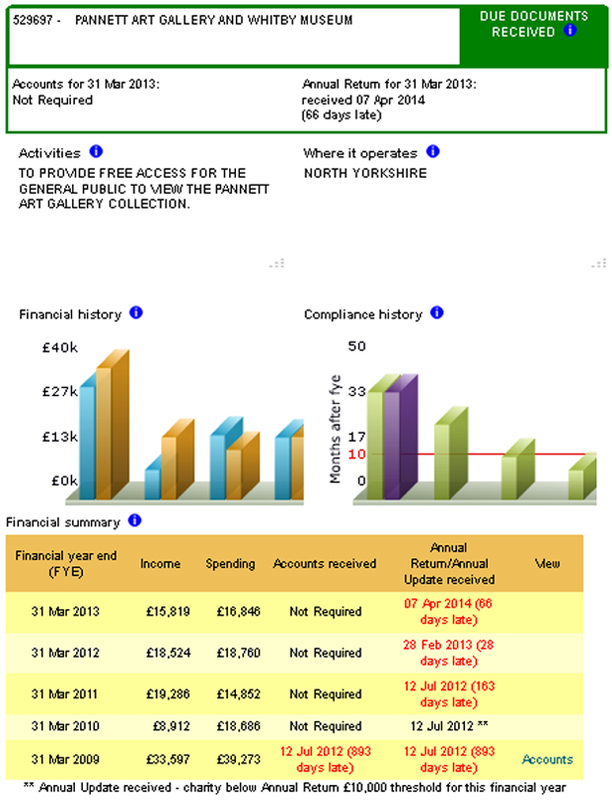 Whitby Town (Parish) Council, unlike many Councils, is not sitting on a huge Reserve account. Legal fees mount exponentially when specialist barristers are engaged to invest hours in scrutinising complex documents drafted in another era (half a century ago, legal language retained a more traditional flavour and is not so comfortably digested by lawyers more fluent in today’s style of legal language), as well as poring over legislation and case law in an abstruse and highly-specialised hybrid area of law. Expensive – and, very probably, rightly so. Costs could be astronomical. Where will the money come from? The Council’s only easily increaseable source of income is the Precept – already knocking on the door of £¼-million pounds a year. But the Council’s needs could easily double or even triple that amount, were a hard-fought legal battle to ensue and legal costs sky-rocket, as legal costs do. The nine Councillors presently delegated to serve on the Joint Management Committee stand in an even more precarious position. They may face much more pressing personal concerns as private individual human beings, jointly and severally liable to pick up the tab if it ever came to pass that they were to be deemed to be Trustees of the Charity – not Councillors delegated by WTC acting as agents of the Council – in their rôles on the Joint Management Committee. 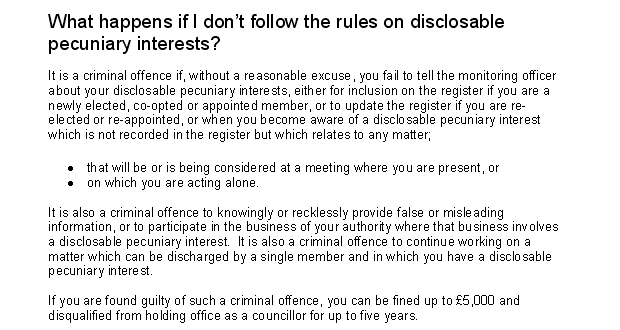 Disclosable Pecuniary Interests (DPIs) must be declared on a Councillor’s Register of Interests within 28 days of arising and failure to do so constitutes a criminal offence under the terms of the Localism Act 2011. One could easily postulate that elected members of WTC may have a Disclosable Pecuniary Interest in the decision to appoint specialist solicitors paid for by the Council. Because, effectively, they have dipped into the public purse not only to protect the Council’s interests – which may be ill-advised (but is at least legitimate) – but also (and who could make so bold as to attempt to determine in what proportion this less worthy motive is present?) to protect their own interests. One would not wish to imagine that this decision to appoint a specialist solicitor was wholly motivated by a desire to allow the Council (and thus the tax-payer) to pick up the tab for some much-needed and assuredly expensive specialist legal advice. That would be to speculate that corruption had taken place. What shocks me most is the fact that some public servants seem to take the view that there would be no point in seeking “entrusted power” were it not advantageous to the pursuit of “private gain”. 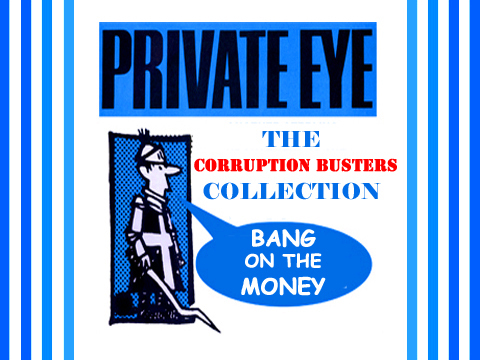 Is it a “private gain” to have the tax-payer foot the bill for one’s personally much-needed specialist legal advice? Is having one’s specialist legal advice paid for by the Council (i.e. the tax-payer) in fact a Disclosable Pecuniary Interest? One might have expected that mention of a £5,000 fine might command some attention. It is unclear, given the apparent dearth of information, just who on the Council has driven this bellicose stance thus far. Clearly, somebody is feeling ‘cocky’ and spoiling for a fight. 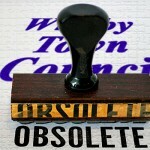 It may not be very clever, because although there are only nine Councillors sitting on the Joint Management Committee, the terms of reference provide for up to two substitute members – to be drawn from the full membership of Whitby Town (Parish) Council. In short, any Councillor could be called upon to attend a Joint Management Committee Meeting – and thereby risk being deemed to have acted as a Trustee, thus rendering him (or her) susceptible to a claim under joint and several liability. But is it even in the public interest at all – whoever carries the can – to take this step without exploring the possibility of reaching a negotiated settlement between the Council and the Lit. & Phil. – perhaps by agreeing to abide by the impartial arbitration of a jointly-appointed legal advisor? Litigation is an expensive pursuit in which only the lawyers are sure of a happy result. Is it all too easy to opt for all-out war when someone else’s money is being sent into battle? 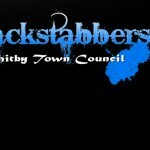 Does no-one give a damn how our Council conducts our affairs? Apparently, barely a handful of our present WTC Councillors.